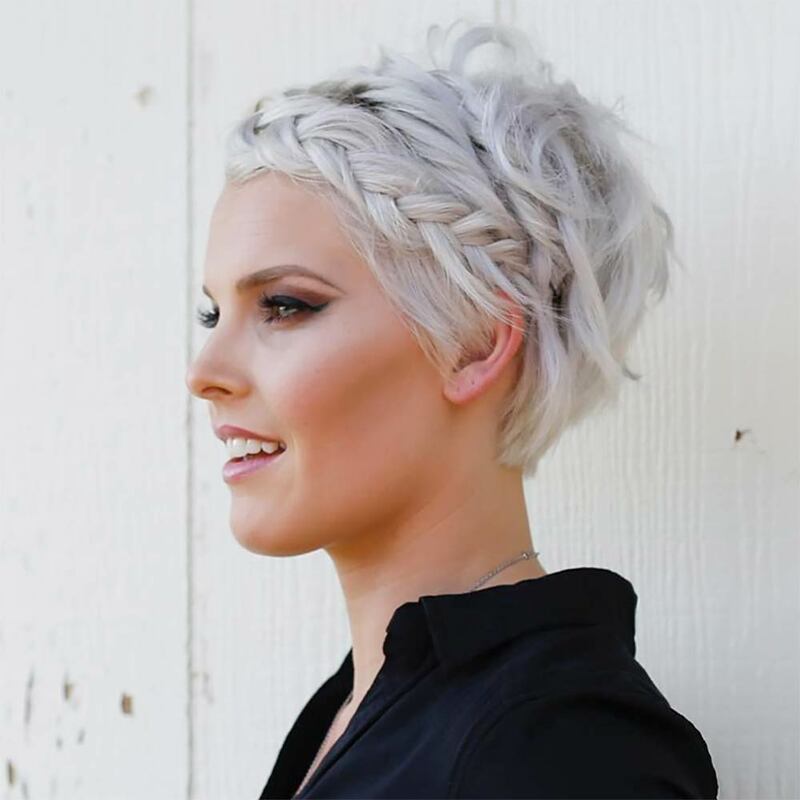 Short and medium hairstyles: 70 beautiful ideas! 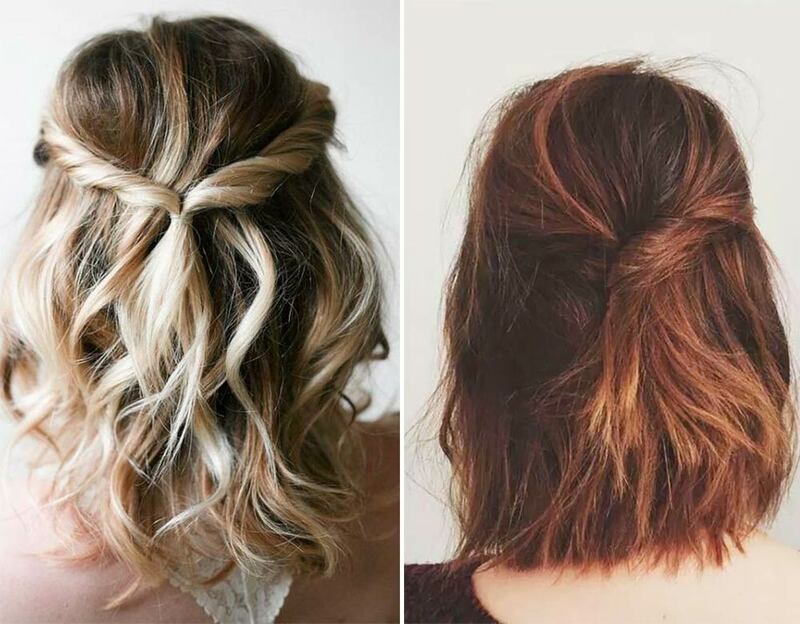 Here are the best hairstyles for women who have i short or medium hair , to change appearance every day! These hair sizes may seem constricting and not very suitable for different hairstyles , but is not so. It all depends on the cut, because if it is well executed there are many short hairstyles that can be made. The pixie cut and the bob cut continue to be the most popular, as well as trendy, and can be styled in many ways. Here are photos, tutorials with pictures and lots of ideas! The medium bob cut lends itself to an infinity of hairstyles , all simple to be realized thanks to the limited volume of hair, compared to the super lengths. For a special evening, cotonate slightly hair, stop with a little spring the front tuft combing it back, and then create some curls with gel (or lacquer), fixing everything with other hairpins. The tuft in these cuts it remains fundamental, because it is the key to changing looks, as well as giving a more harmonious look to the whole. Even the front cut never pays if you choose a helmet or a short cut! Whether you have straight, wavy or curly hair, focus on revisited chignon and enriched by details, pulling back the hair. 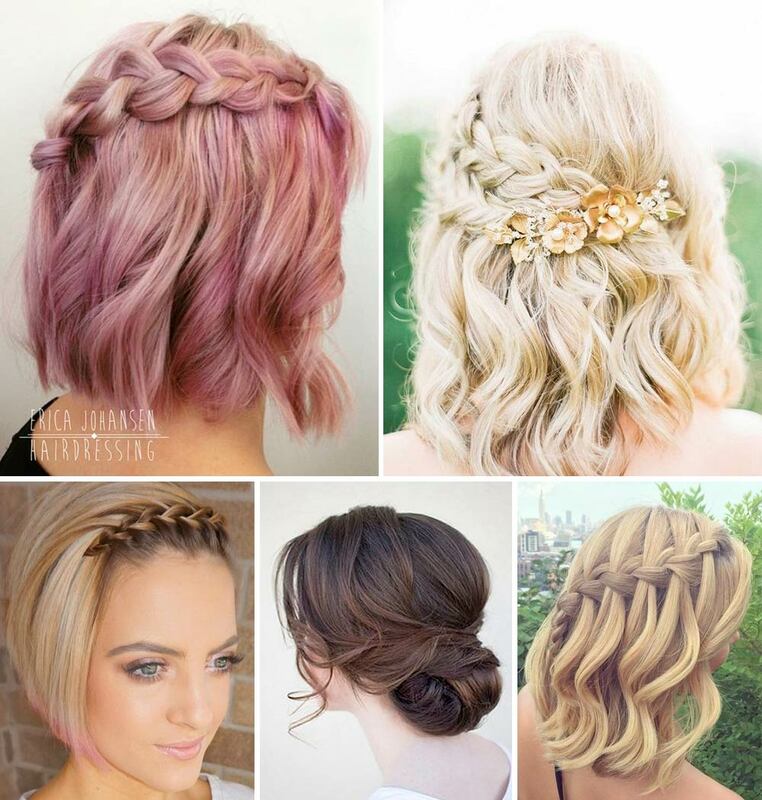 These hairstyles lend themselves to daytime and evening looks. 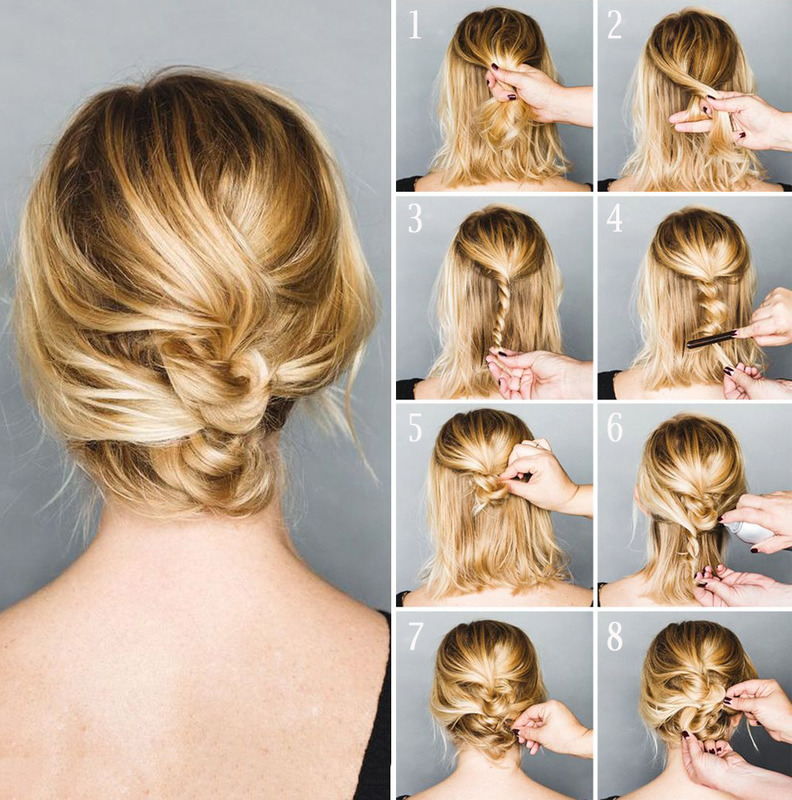 Here are two tutorials for making simple hairstyles. They are two perfect solutions for when you have little time, why it takes less than 3 minutes to do them! Follow the steps to learn the steps. 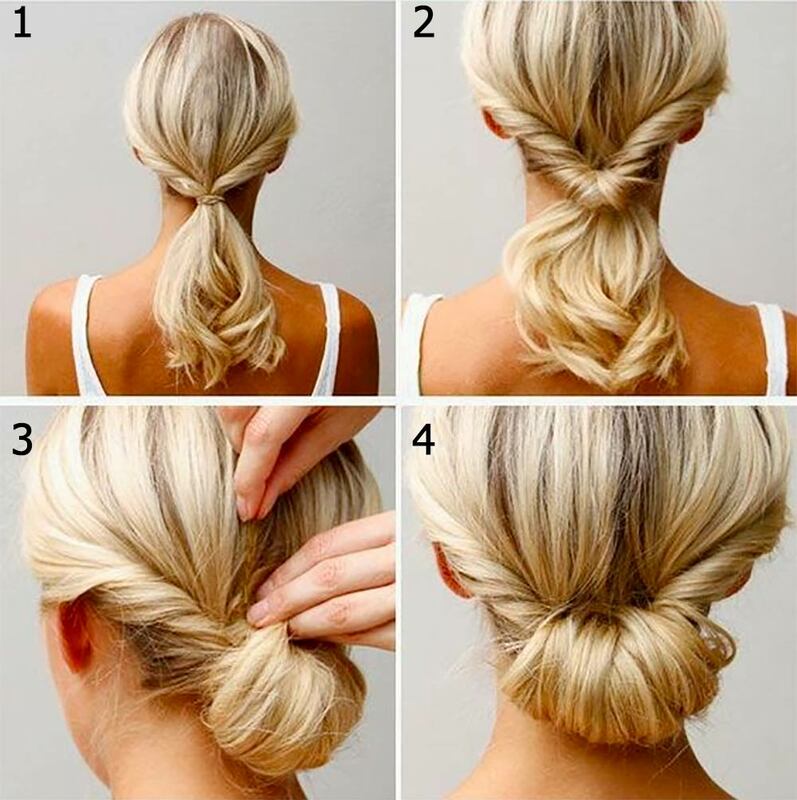 This hairstyle idea is even simpler of the previous one and is very comfortable for the summer! 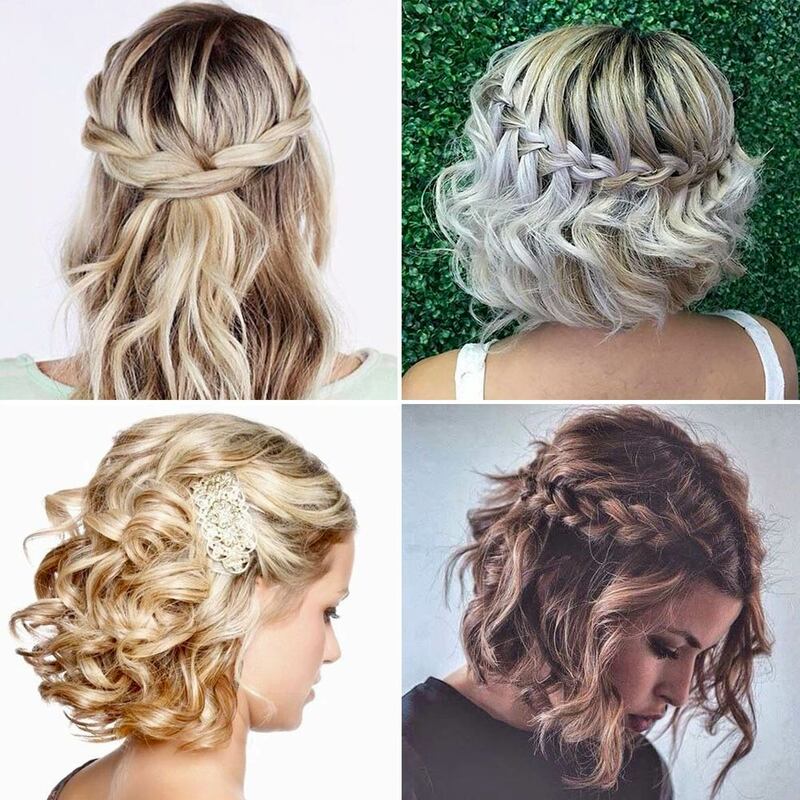 That you have a perfect smooth or wavy or curly hair It does not matter, there are so many simple and beautiful hairstyle ideas for short hair! It is about seeds collected , created by bringing on the nape strands of hair taken from the sides. They can be fastened on the back with hairpins or styled with a braid or simply create torchon to be fastened with a rubber band. 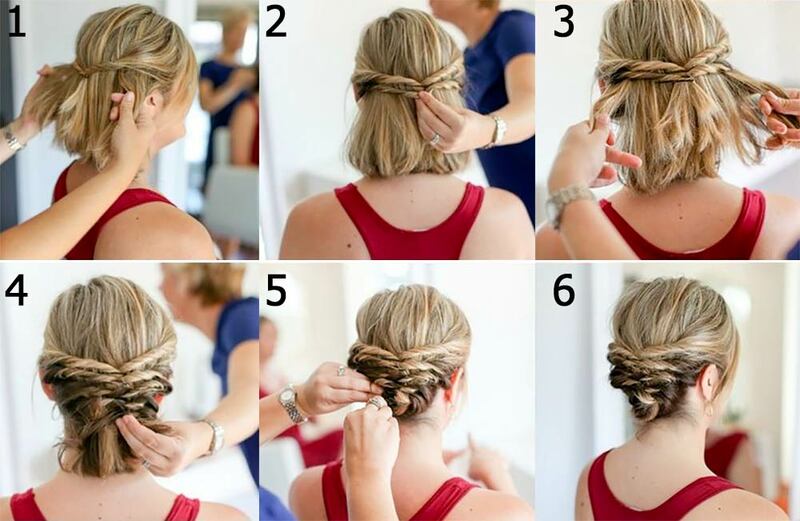 A simple and perfect hairstyle also for a ceremony, to be realized in a few minutes and without the help of the hairdresser. THE Hair collected they are the ones that allow us to change look more often, so if you have a medium helmet always take advantage of these roads! A smooth crop with a side tuft or short fringe, with braided hair forming one coronet , are the perfect hairstyles for the most special evenings. More from day, the crop with the only tuft divided with a side line and then closed on the nape, and the one with the hair pulled back and then slightly raised. If you have hair in a helmet you can easily make this hairstyle yourself. 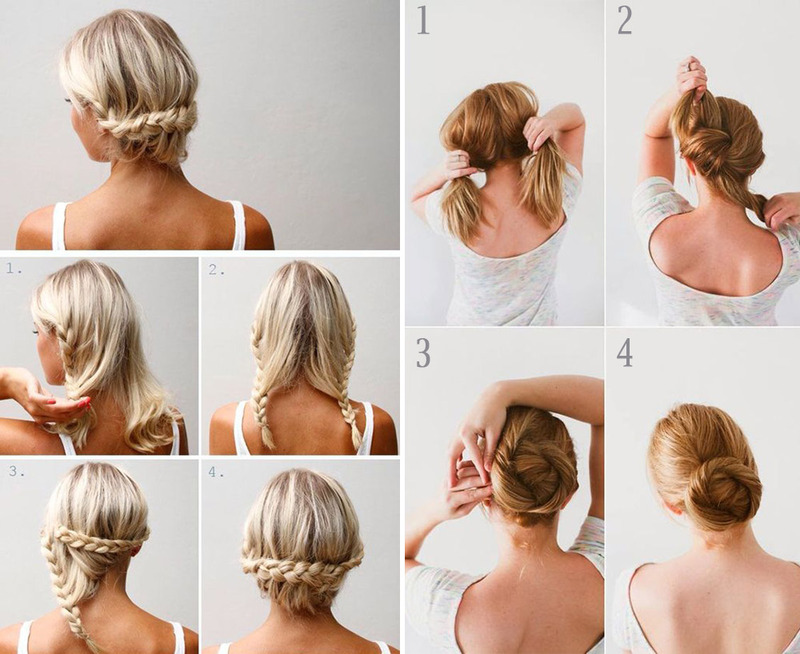 Just create three braids and then fix them on the nape with hairpins and you’re done! 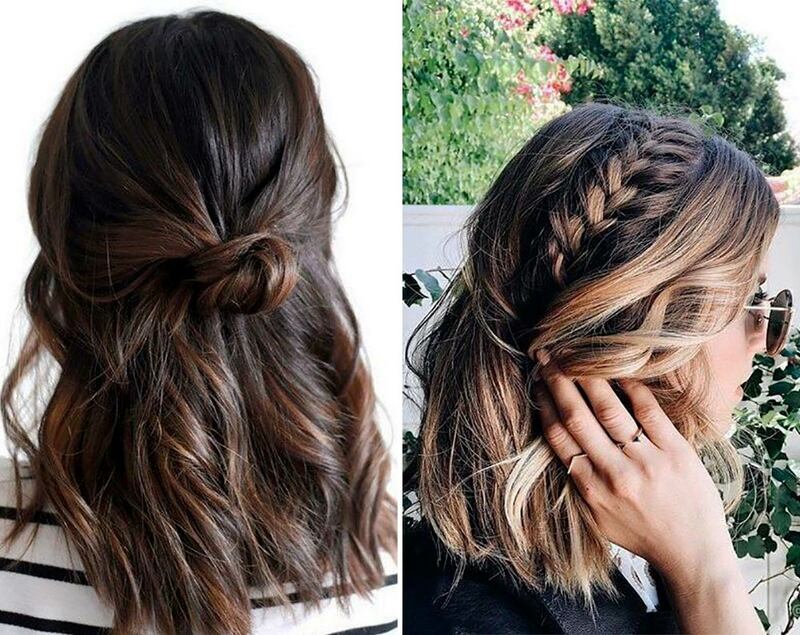 How to style short hair for a wedding? How to comb short hair for a ceremony? There are many versatile and elegant ideas starting from the curls collected on the back of the neck, in one chignon very chic . 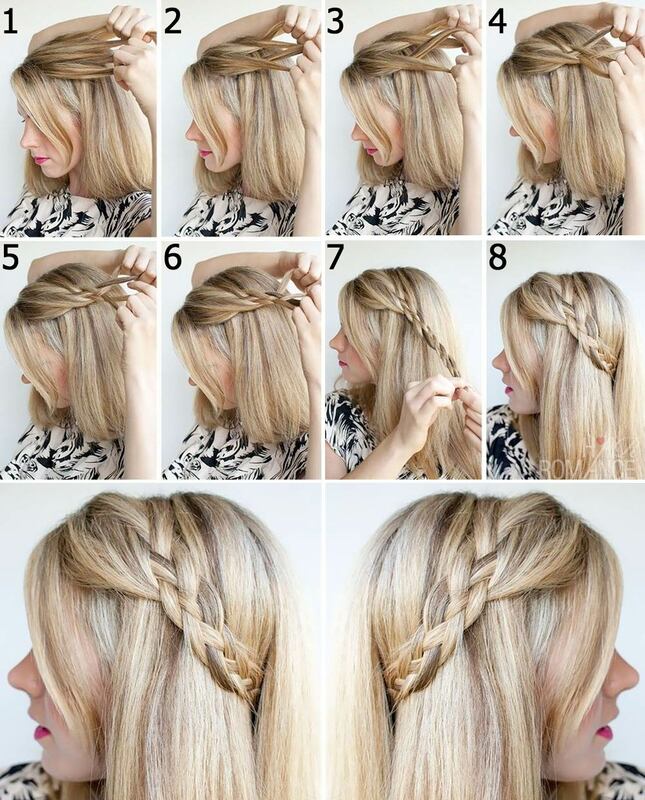 Alternatively, side braid, waterfall braid or herringbone braid. To create these looks, you need iron for ringlets or plates, hairpins and a good sealing lacquer. It is important that the curl is seen, when you decide to comb the curls. A half-tail that takes only the tufts at the height of the temples or a very pulled crop that leaves the curls free will highlight this beautiful shape. The short blur is a bit ‘to despair the women who have it, but we’ll give you some straight away! Pull the hair back (even stop it with a braid, if you like), close everything on the nape and leave the length loose on the neck. It’s a hairstyle evergreen , is also listed among the short hair brides hairstyles. Here’s the picture! 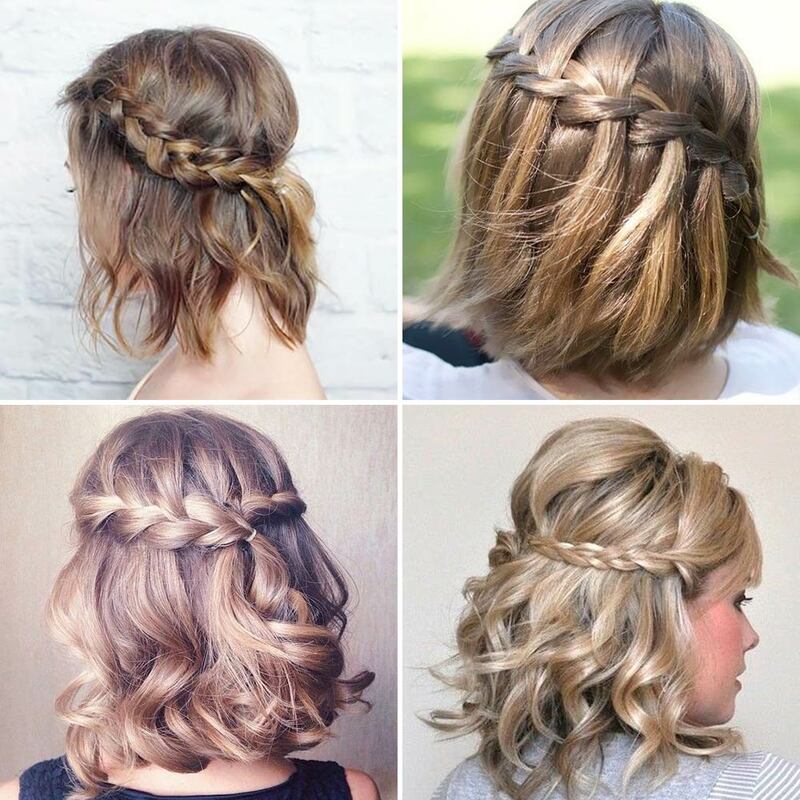 It is possible to create beautiful hairstyles in a simple way ? Sure! 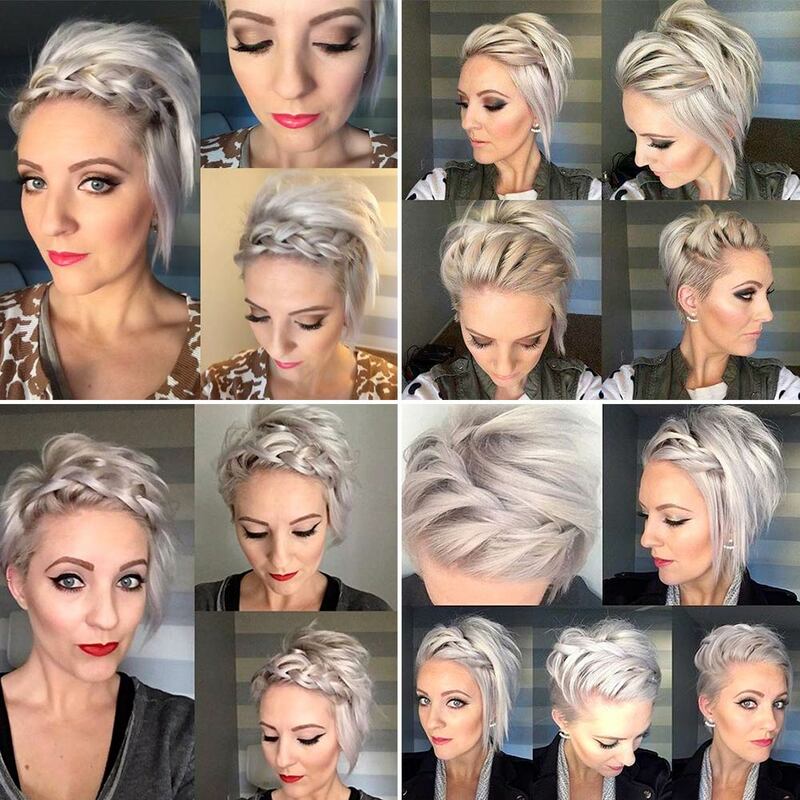 Look at these tutorials to learn how to make two super glamorous hairstyles with just a few steps! You want a hairstyle more “effective”? Marry your hedgehogs from the side , with a three-quarter line of the head. 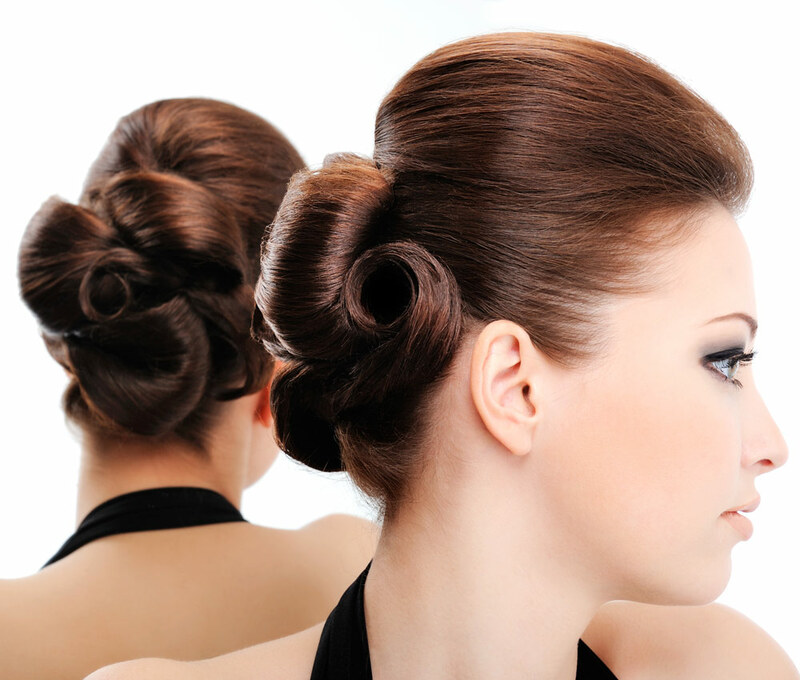 Collect your hair with a clip and add the hairpins to keep everything firm, if necessary. 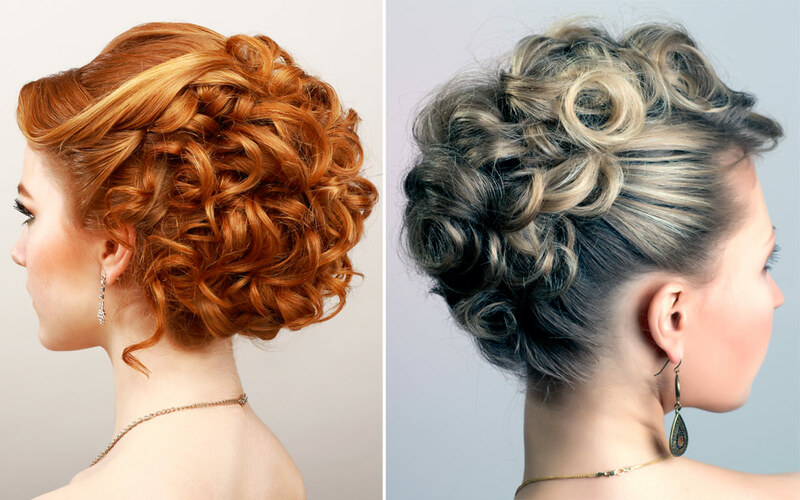 A very glamorous curly short hairdo perfect for the evening, if you have the Red hair it’s even more spectacular! Still curly crops, which show a little the various eras. 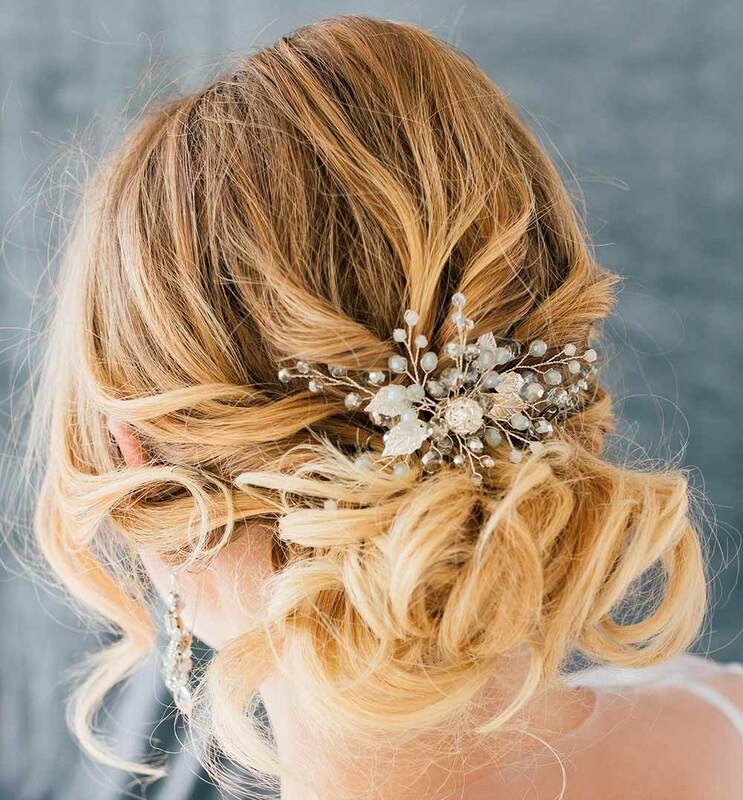 The hairstyle with curls and clasps with light points is also perfect for a bride, while the one with the central bonnet on the front recalls the vintage 50s atmosphere and is more suitable for a particular evening. The full and classic crop is perfect if you have not scaled your hair and are all the same length. It is good if you have not thinned your curls too much. If you have short hair and you like it soft crops , this is the ideal solution. 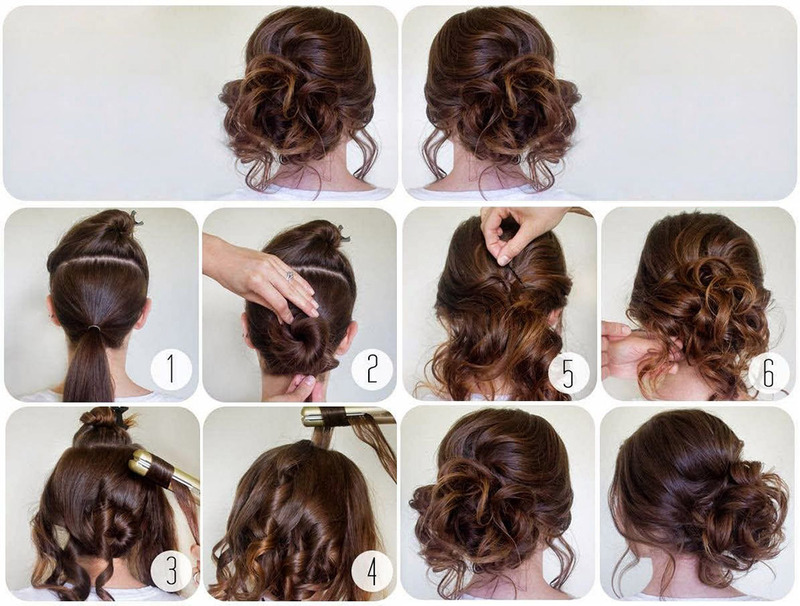 Simply create curls on your hair using a curling iron and then fix each bobbin with hairpins so as to create a soft bun. A look suitable for all ages, both for girls and for ladies and mature women. A solution often used for weddings. 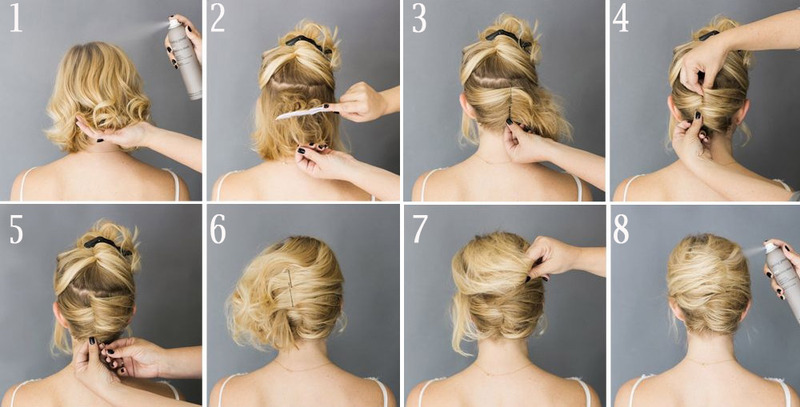 Even if you have i very short hair or male cuts with the tuft you can make hairstyles! 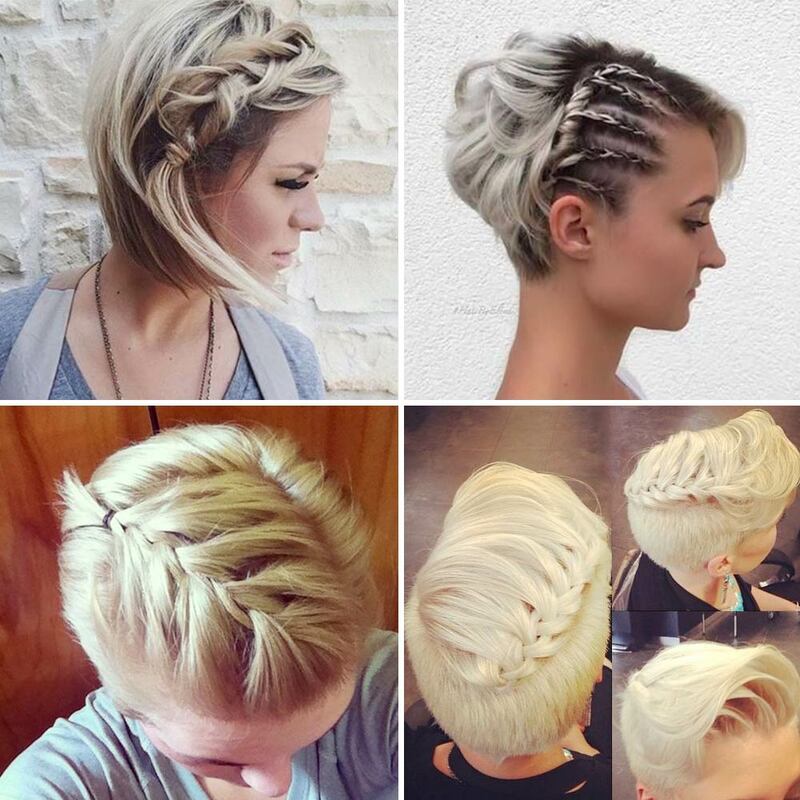 We show you many ideas hairstyles for very short hair! You want to give some volume to straight hair? Bet on the braid! 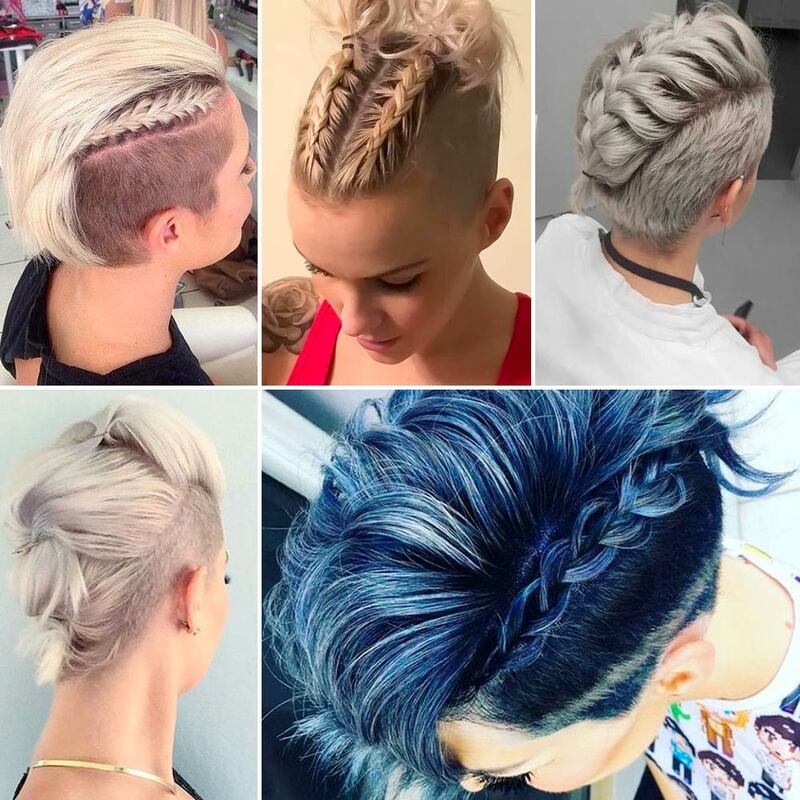 There French braid that side to side and frames the forehead, up to go down on the opposite side, is a sort of joker among the hairstyles. No frills is perfect for the day, with light spots and jewel clasps will make you shine in the evening! Otherwise there is the beaded braid or the braid with knots perfect for framing your face. Again the main braids! Createne two attached to the head that then end with a tail, or intertwined the hair along the length and stops with colored elastics. Under great hairstyles also to practice sport . As mentioned, i accessories for hair they always make the difference! 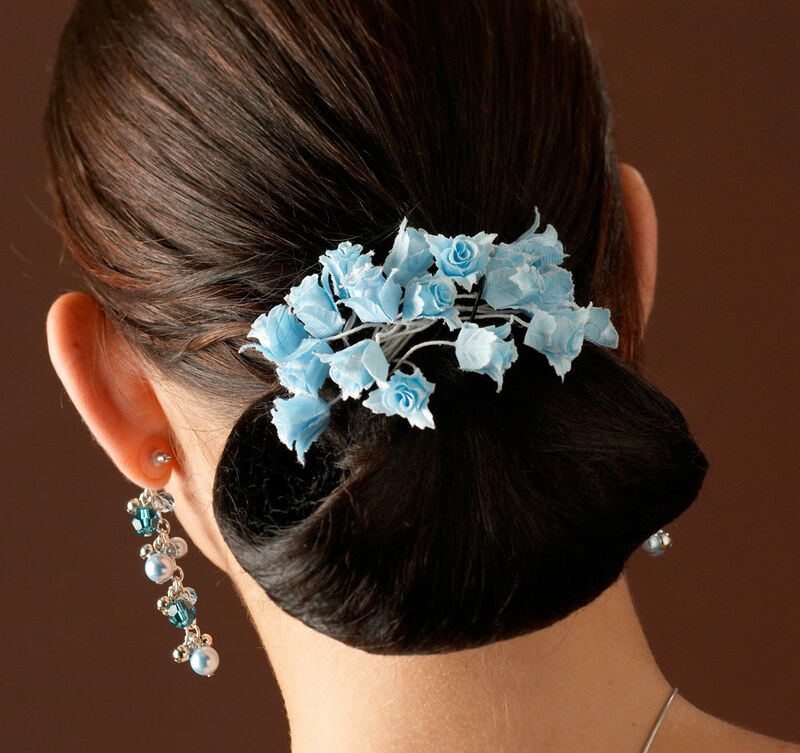 A simple one low tail , with the hair completely pulled back, loses its monotony if you use a floral clasp or jewel. 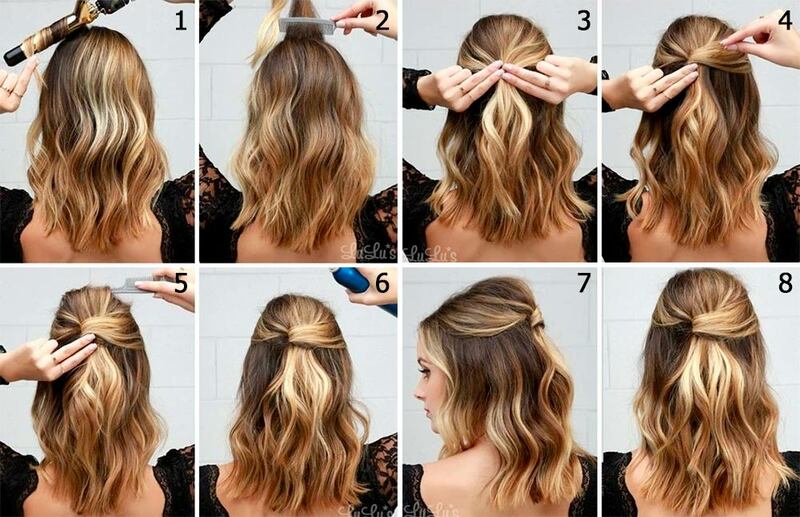 This hairstyle for short straight hair is also perfect for weddings. 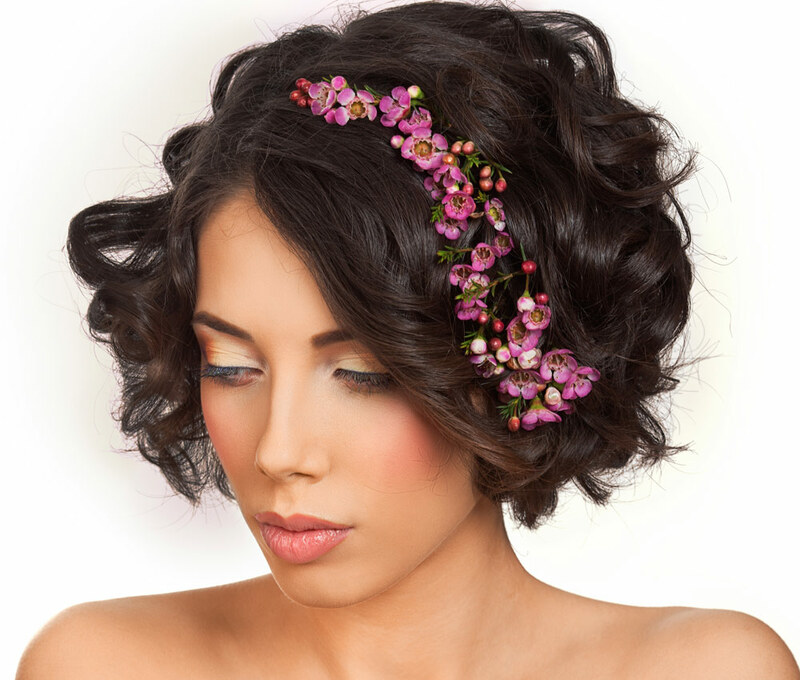 The well-executed pixie cut is already an excellent hairstyle in itself, but if you want to add details then choose clasps with flowers , especially if for an evening or a ceremony. 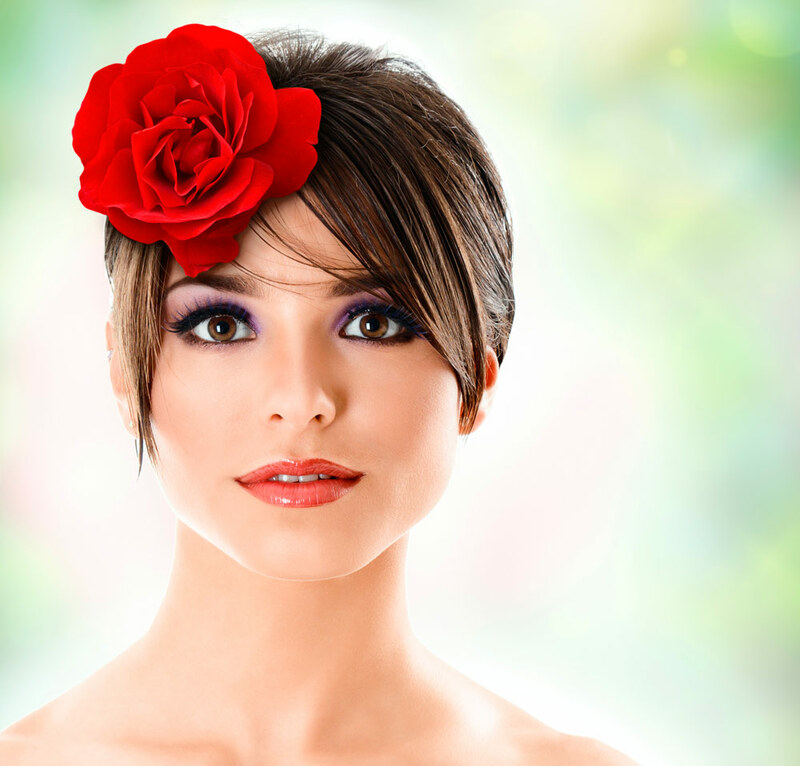 Place the flower where you prefer: on the back of the neck, down, on the side, like a hat, the choice is wide! Furthermore, colored clothespins or jewels with rhinestones , and many small clasps scattered on the various tufts, can create different hairstyles for a very short cut. A big return is i circles and the bands for hair, and for women who have short or medium haircuts are essential accessories! A simple crop immediately becomes glamorous with a colored circle, perhaps with applied satin flowers. Take advantage of headbands, bands, bandanas, clasps, hairpins and combs remains an imperative when you love to change but, at the same time, have short or medium hair! 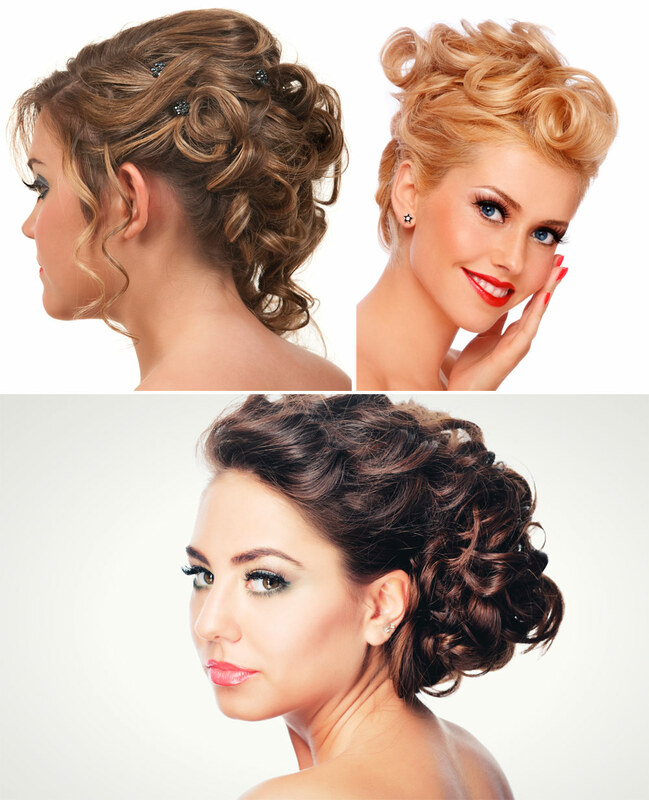 Various and beautiful hairstyles for short or medium hair, suitable for evening and day looks: which is your favorite? Leave a comment! Hairstyles bride long hair 2018: Beautiful pictures!